The new betting management app VegasSports seeks to allow gamblers to organize their bets and keep an accurate account of funds flowing in and out of their sports books. 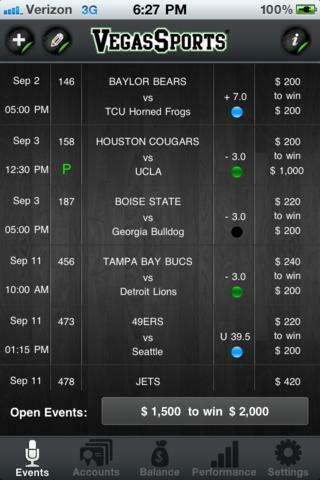 Think of it as a daily planner for all your sports betting needs. 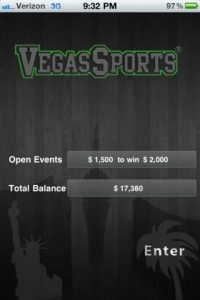 Through an intuitive interface and an extremely organized system of record-keeping, Vegas Sports allows the user to enter in information quickly and easily, and get on with the important things like researching stats and counting their money. However, if you’re simply a person that enjoys a friendly bet with your neighbor over Sunday’s big game, this app probably isn’t something you will need. 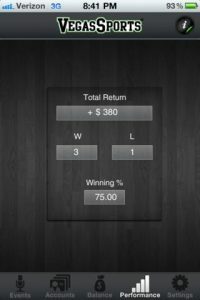 Keep in mind that Vegas Sports is designed specifically for the serious gambler, and that set of folks will certainly find it to be an invaluable app. Personally, I’m not much of a gambler. I’ve set up small wagers on various games in my life, but I certainly don’t pore over stat sheets and injury reports as I call in bets to my bookie. So at first, Vegas Sports came off as a bit obtuse. Yet, although I wasn’t familiar with all the jargon and different kinds of betting systems (parlay, teasers, draw, etc. ), I was able to quickly get past all that and set up a simple bet. Setting up a new event is easy: simply enter in the time and date when the event will take place, enter in the participants (Chicago Bears vs. Green Bay Packers, for example), and decide if you’re betting on the first half, second half, or the full game. From there, you can set up an over/under, pick your point spread options, select which account you’ll be betting from (perfect to make sure you don’t bet more money than you possess), and enter in the value of the bet. And with that, you’re off to the races…so to speak. Vegas Sports doesn’t contain any flashy bells and whistles, which is a good thing in this case. The events are neatly organized and easy to read. What’s missing, however, is automation. 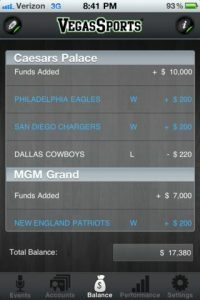 Combining Vegas Sports with the features of an app like Sports Tap, which could allow users to select games, check stats, and do research all in one app with the results automatically appearing and updating your bets would make this an absolute must-have. As it stands, Vegas Sports is a nice tool for wagering, but you’ll need to do your research and get your live updates elsewhere. Bottom Line: Vegas Sports is a nicely-designed app for seriously sports gamblers. 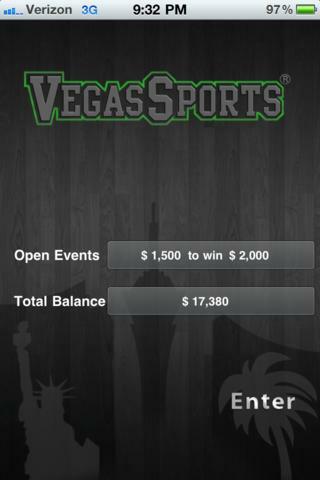 Vegas Sports is compatible with iPhone, iPod touch, and iPad. Requires iOS 4.0 or later.